The economic consequences of the shutdown, which has gone on to become the longest in US history – it has recently entered its fifth week – it’s beginning to be subject to increasing study. Some experts indeed fear these consequences might grow so long as the crisis goes on. This is an opinion an economist at research firm Pantheon Economics, Ian Shepherdson, shares. According to him, “the longer it [the shutdown]goes on, the bigger the risk is of broader damage”. Let us remind ourselves of the facts : the shutdown, which is a partial one, as it does not encompass the whole administration, began when Donald Trump refused to sign off on budget legislation that did not include funding for his planned border wall. The American President wished that the funding bill included 5 billion dollars for his border wall, a view the elected Congress did not share, finding his project useless and preposterous. Ever since, this showdown has led to an impasse. The American Administration has remained paralysed, 800,000 federal employees being still absent or working without pay. Corporate deals, mergers and acquisitions feel the impact of this deep change which the administration suffers, and explain by themselves the slowdown of the economy. The Securities and Exchange Commission, the American Federal organisation in charge of the regulation and control of financial markets, has told companies planning to go public to delay their plans. The shutdown could also imperil or at least put off high-profile IPOS from companies such as Uber, Lyft and Pinterest. As for the company Essendant, among others, it stated that its bid to combine with Staples was being hurt by the shutdown because the Federal Trade Commission had not yet approved the deal. The shutdown is expected to have consequences on businesses, whether small or not, and on consumption as well. Small businesses which need loans from the administration have seen their loans being cut off, and many businesses in general are still awaiting permits from a broad range of government entities. As far as consumption is concerned, the high number of people being absent or who work without pay (800,000) means that they are not right now injecting as much money into the economy as they would have. Besides, many of them are said to struggle to pay their mortgages, credit card bills and rent in the absence of any payment. 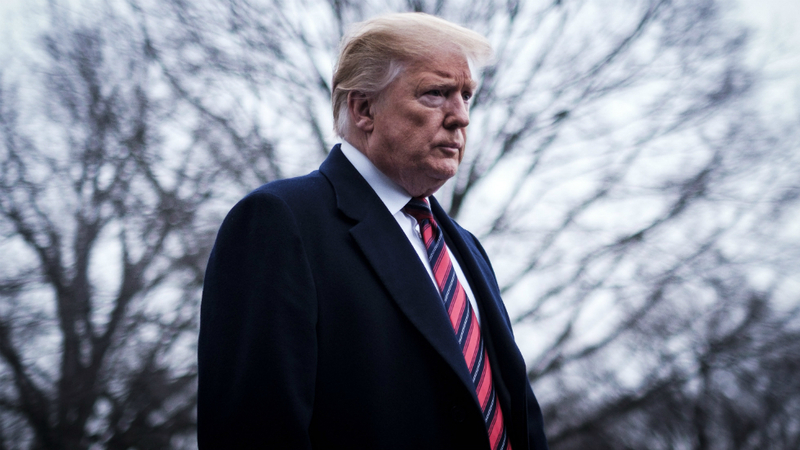 After five weeks of malfunctioning within the administration the figures forecast by experts do not augur well : according to the White House’s calculations, growth in the US has been cut by about 0,5 per cent. But, as the chair of the advisory firm Sonecon Robert Shagiro pointed out, most data on economic performance are issued by the Department of Commerce, and a lot of them have come to a halt on account of the shutdown. It is for example the case for data on imports and exports, construction spending, home sales or retail spending. All of this makes the evaluation of the shutdown’s consequences more difficult to do. To deal with this situation, the Trump Administration is trying to triage and minimize some of the shutdown’s effects. It for example called back thousands of workers of the Internal Revenue Service in order to make them work without pay to ensure tax refunds go out.